"All day long, they work on chores. When night-time comes, they work on snores." As the sun sets behind the big construction site, Crane Truck, Cement Mixer, Dump Truck, Bulldozer, and Excavator lie down to rest. 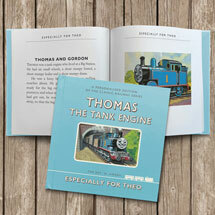 Sherri Duskey's bestselling children's book will delight truck lovers little and big. 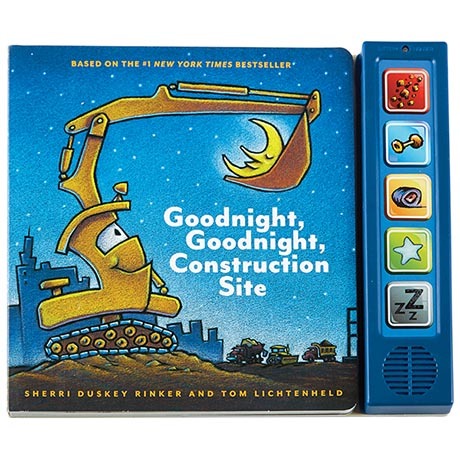 Read the words and press the buttons to hear "crunch," "vroom," "beep," "yawn," and "snore" for even more fun. Board book is 12 pages. Ages 3 and up. 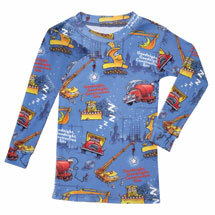 Soft, smiling Excavator plush (HN6972 - sold separately) is 11" high.